Filed to: What are thooooseee? ?Filed to: What are thooooseee?? Though some might proclaim me as such, I don’t consider myself a fashion icon. Not exactly. I enjoy wearing nice things. And shopping as well. I like colors. I like sneakers. I professionally stunt. On occasion. Some might call me an influencer. Okay. I guess I’m fly. Here’s my latest. Neon pink kicks (eBay) wading in a puddle. A windbreaker splashed in a pastel colorway. For the gusts that ruffle my feathers. A touch of Pantone purple peaking out the wings. Ultra violet, I should say. Beak on fleek. No biggie. Just a chill day. It’s cool. It’s not about style. Cultural currency is more my thing. I dunno. I am who I am. I like to stand out. In my own way. 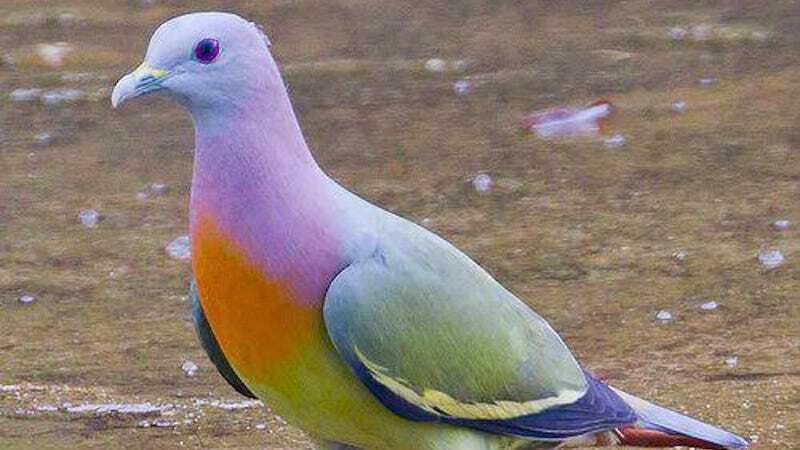 Not be some regular-degular pigeon. If you’re inspired, cool. If not, okay. But you kinda should be.